To be the preferred partner for critical weighing and service solutions. We bring comprehensive weighing products, services and information in a trusted and innovative manner generating value in our partners’ critical operations. We are committed to providing a healthy and safe work environment through training, tools, communication, incentives and wellness programs. We take ownership of safety and health awareness by incorporating it into every aspect of our lives. We act with honesty and integrity without compromising the truth in all of our actions and decisions. We accept our individual and team responsibilities. We meet our commitments. We take responsibility for our performance in all of our actions and decisions. We work diligently and continuously to improve and innovate our products, services and processes, in order to provide our customers with better quality, solutions and value and to potentially change our industry. We are each empowered to take initiative to tackle problems in a cost effective and timely fashion. 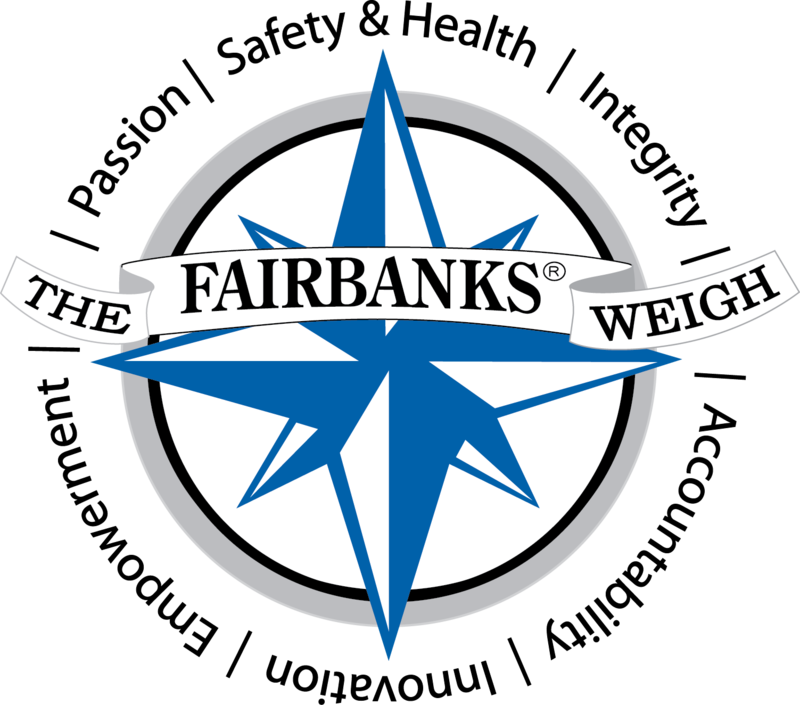 When we make a decision, we ask ourselves "Is it good for the customer, our Company, for us individually, and is it in agreement with The Fairbanks Weigh?" If the answer is yes, we do it! We have a passion for what we do, putting our heart and mind into our work to provide the best possible outcome, which results in routinely going the extra mile to exceed our customer expectations.